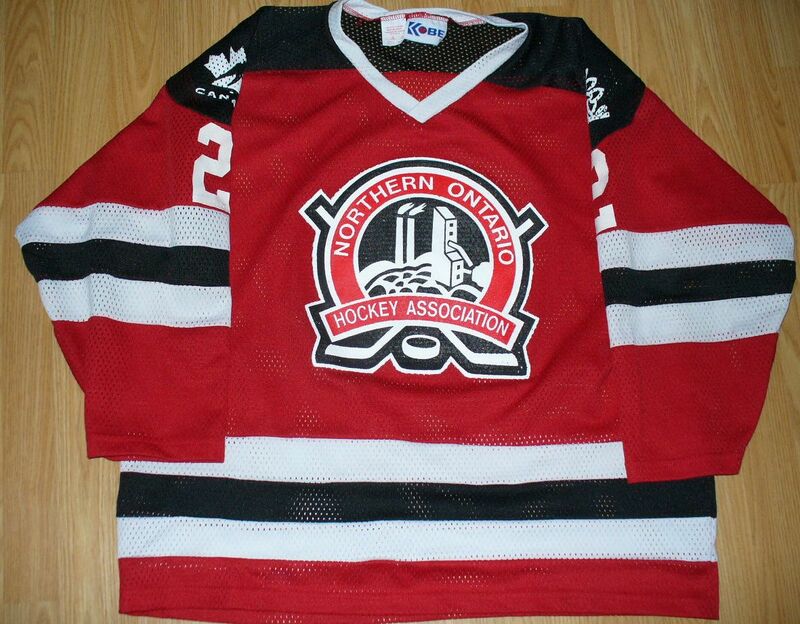 Continuing on with the regional hockey jerseys (sort of), I picked up a Northern Ontario Hockey Association jersey at a thrift store. Had never heard of it the NOHA before so looked them up; apparently they operate in the Northeastern Ontario Region. Everything is screened or heat pressed on. 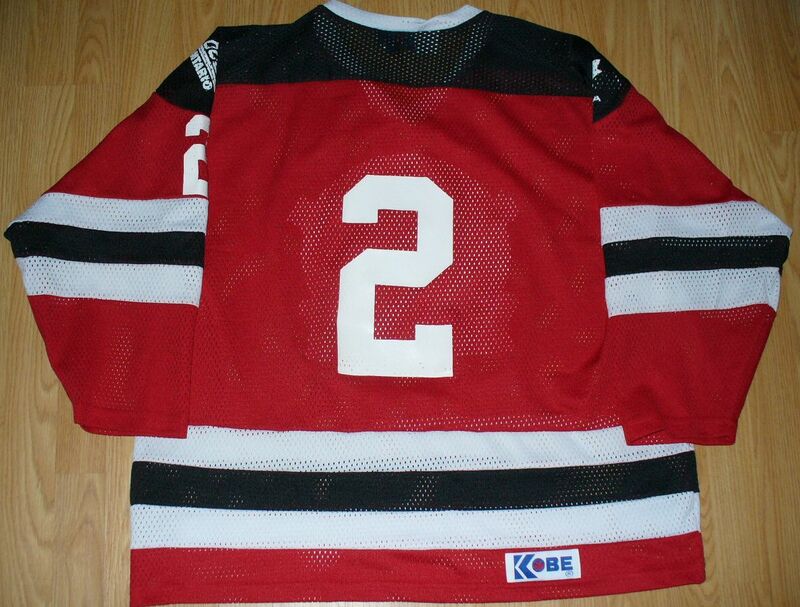 Can't really see the shoulder logos in the front & back pic, so here's a pic of the shoulders. 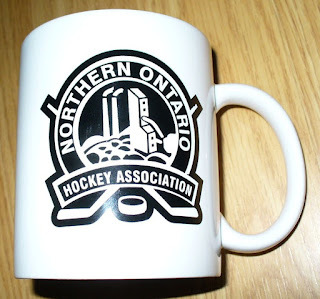 Kind of liked the NOHA logo when I saw it; it reminded me a bit of the Trail Smoke Eaters logo (they won the World Championship in 1961 for Canada among other things). 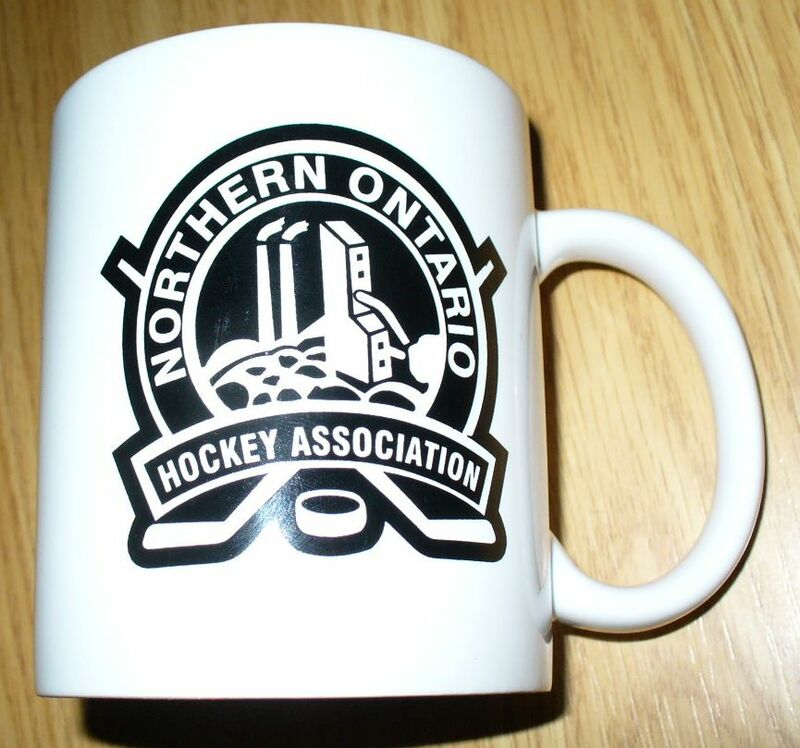 A week later saw a coffee mug with the NOHA logo at the same thrift store so I bought that too.